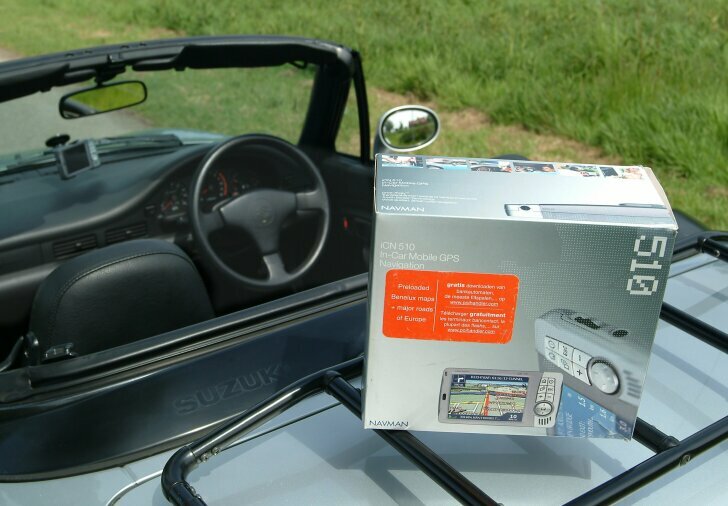 Caraudio, alarm and navigation | The market is flooded with cheap portable navigation systems. 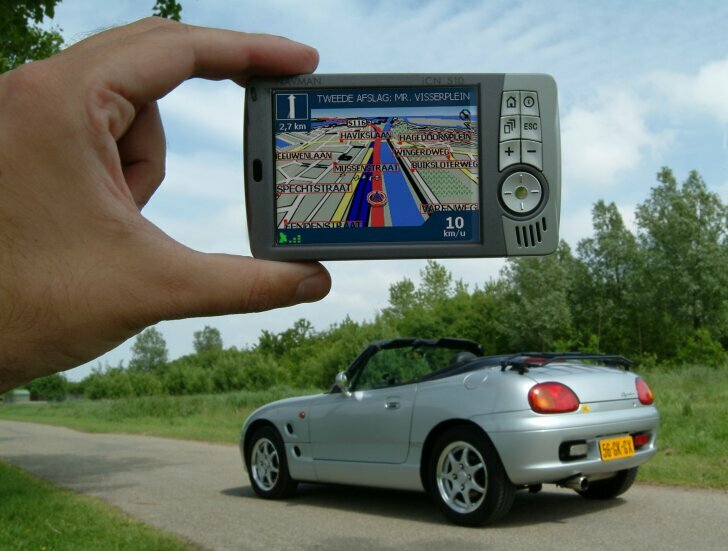 It was mainly TomTom that made this alternative to a costly built-in navigation system popular. In the meantime everybody wants to profit from this growing market. Among them the Australian NavMan, who offer a comprehensive system that is still cheaper than all the others. "The" NavMan has been the driver's mate for a good month showing the editors the way. Whoever is looking for a navigation system has the choice of roughly three types. The first is the traditional navigation system that is built-in in the car. This is the most expensive option, but also the most comprehensive one. The screen is usually large, the map covers all of Europe and instructions are given through the loudspeakers in the car. In addition to that a built-in navigation system can receive traffic information and can plan a route around congested traffic. An alternative is the portable navigation system based on a "PDA" or an electronic diary. The advantage of this is that the customer already owns such a computer with a screen and only needs to buy the satellite receiver and navigation software. That is why this second type is a lot cheaper than the built-in system. The problem with using a PDA is that it has a "DIY" feel to it because the user is the one that has to establish the communication between the satellite-receiver and the computer and needs to install the software too. In the last few years therefore a third variety is on the rise: an instrument similar to a PDA that only has one function; to navigate. The disadvantage is that this instrument can not be used as a diary or a mobile Internet connection. The advantage is that an all-in-one system is guaranteed to work. NavMan belongs to this last category, yet it wasn't immediately apparent whether it would work or not. When switching it on a Windows-logo appeared and even in the abbreviated instruction manual there was a frequent reference to the reset-button. Previous experiences with Windows-based systems were not encouraging and it conjured up visions of a drive packed with system errors, a jammed system and lots of forced frustrated brakes. But nothing like that with NavMan. From the word go the system worked without any problems and kept working that way. Using it in the car is without problems too. A holder with a sucker attaches the instrument to the windscreen. The material is slightly smaller and more delicate than other brands, but it operates well. Only on a sturdy speed ramp the instrument fell out of its holder on a few occasions and landed on the floor. Functionality and user friendliness of the NavMan is equal to that of other portable navigation systems. The destination can be chosen by street name, town or postcode. Depending on the version NavMan knows its way around the Benelux or even all of Western Europe. Even extraordinary destinations (restaurants, petrol stations, tourist attractions) can be selected. This last function is not really useful though, for it is not capable of showing this kind of locations in the area. The display of the route is optional with either a 2-d or a 3-d map or a list of instructions. With it the next following instruction is shown small, so that the driver can prepare for the next junction in good time. When arriving at the junction the system automatically zooms in to clarify the situation. At junctions no junction numbers or city names are shown but only road numbers. NavMan uses the 3.5 inch colour touch screen in width. In practice this is less useful than having it in length. After all, a driver is more interested in the road ahead then the ones to the sides. 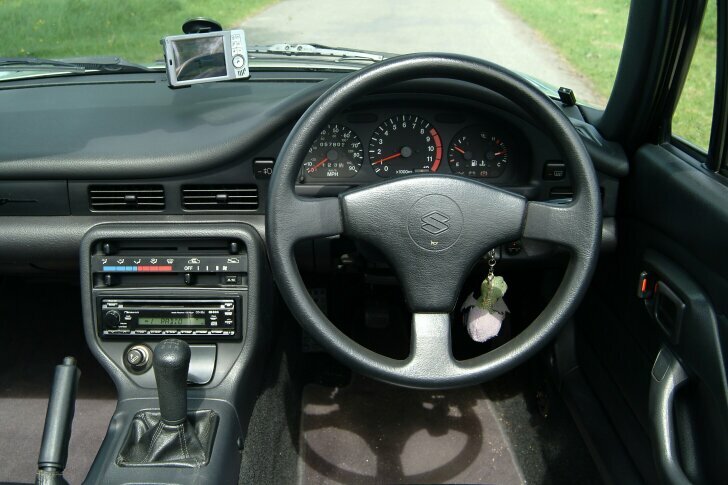 In cars with a windscreen that is placed far to the front (almost every MPV), the distance to the driver is quite large and the instructions therefore hardly legible. Moreover, in bright sunlight the screen quickly becomes useless because of the reflections and then the driver has to rely on the spoken instructions. There is a choice of male and female voices in all imaginable languages. The voices are of professional speakers, they are understandable and they have a pleasant tone of voice. Road numbers are not pronounced. The spoken instructions are limited to "turn left" and "turn right". In a noisy car the volume of the built-in loudspeakers however is insufficient. In a convertible the NavMan simply does not rise above the wind and traffic noises. The quality of the planned routes is excellent. NavMan knew how to find all difficult addresses on the standard navigation route. The system plans the route in a smart way too. On routes where other navigation systems give awkward directions to the destination, NavMan chooses the route that locals would use. The maps are slightly dated, so occasionally a junction was not recognised because it had been replaced with a roundabout in the meantime. When the driver deviates from the instructions a new and logical route is selected quickly. During the test period NavMan found all destinations and never failed the driver. NavMan tries to profit by the fast growing market of portable navigation systems. In most shops this "all-in-one" system is slightly cheaper than comparable instruments by other brands. In addition to maps at street level of the Benelux, NavMan also covers main roads in Europe. The quality of the planned routes is good. The instrument is reliable, offers clear instructions and is successful in finding all destinations. The wide screen however is less useful than a tall screen. Besides that the screen is very sensitive to reflections, which makes it completely illegible. The spoken instructions are not loud enough in (very) noisy cars. Finally the calculation speed as well as a few other options is below average, but that is reflected in the price.